February is a critical month for Bogotá in terms of air quality. There are two factors that explain this situation: emissions and meteorology. These two factors cause that Bogota’s atmosphere present a high concentration of particular matter, which is a very harmful pollutant for health. In February, the meteorology in Bogotá presents a particular phenomenon: the thermal inversion. This phenomenon avoids that winds take out pollutants from the city. As a consequence, local authorities implemented emergency measures in order to reduce pollutant emissions and people’s exposure to bad air quality. These emergency measures were: a restriction on private automobiles according to their license plate number, a prohibition on some of the heavy load transport vehicles in some parts of the city, a warning for vulnerable people such as children, the elderly and people with breathing diseases. Local authorities also delivered face-masks to people in the most polluted areas. The overall situation caused a great impact on citizen’s daily routine and media started to inform why the air quality was dangerous and what the emergency measures were. During these days, EfD Director Jorge Bonilla was invited to participate in two televised debates. In these debates he discussed with representatives from the city Council and experts about the air quality situation, the implemented measures and the difficulties that public institutions in Bogotá need to deal with while managing this environmental problem regardless of meteorology conditions. The two debates were transmitted by two private channels in Colombia: Red Mas Tv and Cablenoticias. Both debates were in Spanish. The debate at channel Red Mas Tv was on Wednesday February 20th in the debate program Zona Franca. The title of this debate was “Air quality and the environmental emergency in Bogotá” and it can be seen here. The debate at channel Cablenoticias was on Friday February 22nd in a debate program by Semana Sostenible. 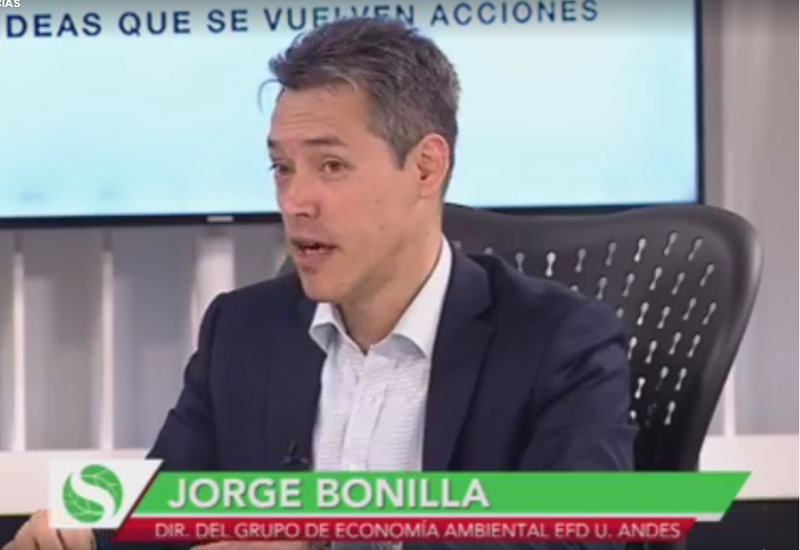 The title of this debate was “What measures should the authority implement to solve the air quality crisis in Bogota?” and it can be seen here.